A More Hopeful Justice League? Geoff Johns certainly plans to brighten up the DC film universe, anyway, if this news story is anything to go by. 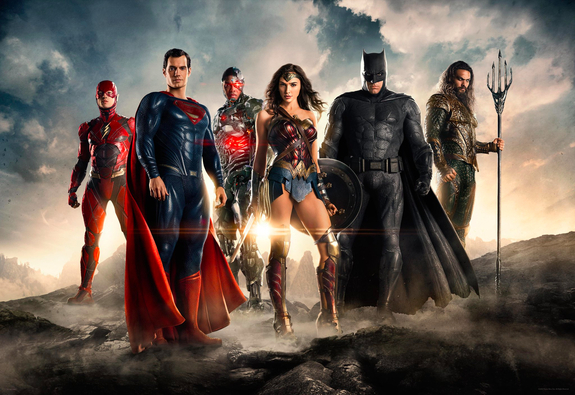 Johns and his co-head Jon Berg worked closely with Justice League director Zack Snyder and screenwriter Chris Terrio to make the film closer to their vision of the DC Universe. “We accelerated the story to get to the hope and optimism a little faster,” Berg explained. Even the above picture is brighter and sunnier than anything we’ve seen from the DC films so far and that, this news, and the excellent Wonder Woman trailer all have me hoping that the Zack Snyder/David Goyer grim as all hell era is behind us. Posted on Saturday, September 10, 2016 Friday, September 9, 2016 by GaryPosted in Film/TV, NewsTagged Justice League. Next Next post: Digital Or Print?